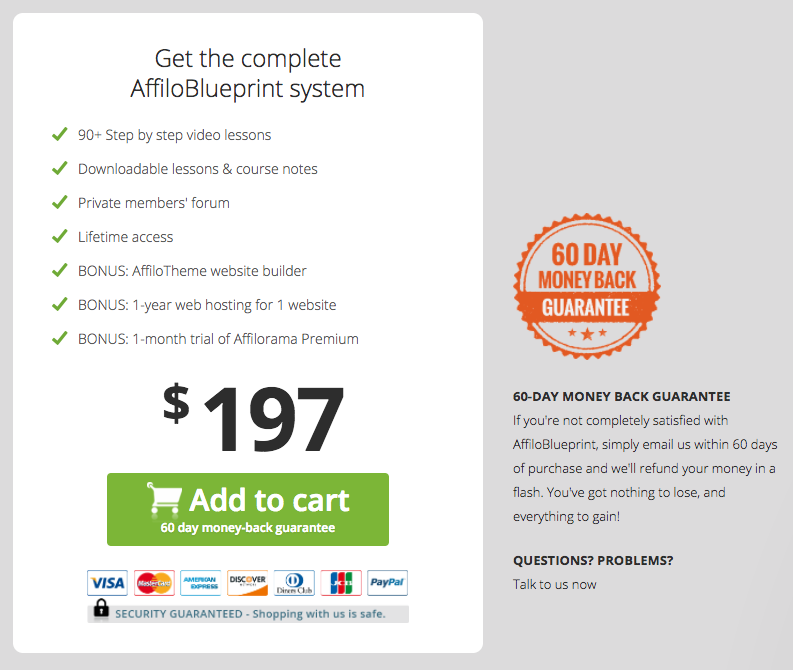 Affilorama Review 2019 - Valuable Affiliate Marketing Training, Or Con? 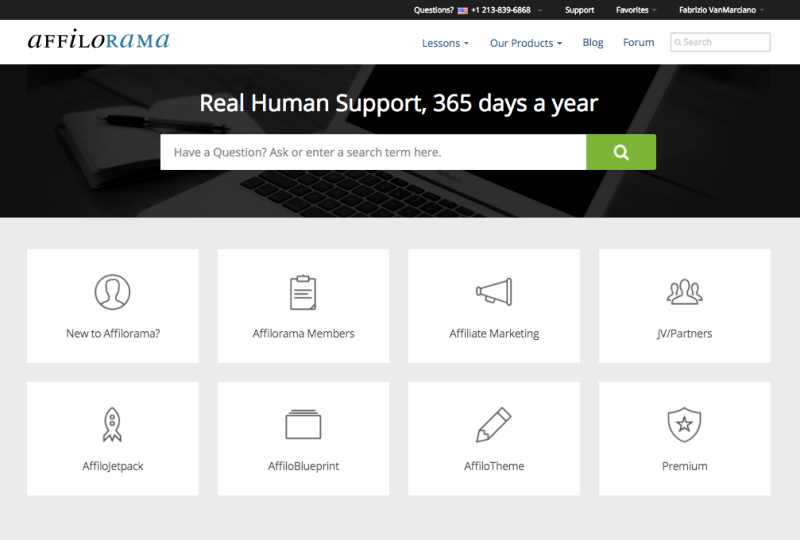 Affilorama Review 2019: How Much Value Can You Get From An Affiliate Marketing Training Website? Have you heard about Affilorama? As an experienced affiliate marketer, chances are you probably have. But if you haven’t, then stay tuned. If you’re a complete newbie to the world of affiliate marketing, Affilorama just might provide the training you need to get started. A lot of people wonder whether affiliate marketing is still a viable business model today. Well, I’m here to tell you that affiliate marketing is very much alive, and, it can be very profitable if done properly. There’s enough evidence in the online business world to validate that affiliate marketing is still going strong, yes, even in 2019 and hopefully beyond. Affiliate marketing is not likely to die out anytime soon, and the reason is that companies will always depend on bloggers and online marketers to promote their latest offerings. As a blogger, freelancer, and an affiliate marketer, I can tell you that my online business wouldn’t survive without passive income. Over 50% of the revenue I generate online comes from affiliate marketing. So, if you’re thinking about starting a new online business venture, then, in my opinion, there’s no better way to start than with affiliate marketing. Now, here’s where it gets a little daunting, especially if you’re a complete noob. As a complete beginner in affiliate marketing, where do you start? Truthfully? There isn’t a great deal of rock-solid training or knowledge-base on affiliate marketing, other than Affilorama. There are some alternatives to Affilorma, which I’ll talk about later on. That being said, there are a ton of blogs and websites that talk about affiliate marketing and the things you should do, what works, what doesn’t work, etc. There are dozens of case-studies you can read on the topic of passive income and blog monetization. There’s also a bunch of books you can read about affiliate marketing. All you need to do is search for them on Amazon. But right now, let me tell you a little bit about Affilorama. If you’ve never come across Affilorama before, you might be interested in learning more about this platform. Who is the Affilorama Membership for? How much does the premium packages cost? Affilorama is an online portal that claims to offer legitimate affiliate marketing training to new and intermediate affiliate marketers. It’s completely free to join, and as a member, you get access to a ton of lessons, videos, and tutorials to start you off. Additionally, Affilorama offers three premium product packages, which I’ll cover in more detail shortly. As well as the premium training and online tools, Affilorama also provides help and support throughout, complete with a ‘reasonably’ active forum for its members. Most of the content and training on the website is sound and legitimate, however, the website does have some redundant information and out-of-date content, again, which I’ll talk more about later. Affilorama could be an ideal starting point if you’re completely new to the world of affiliate marketing. Or even if you have some experience and need to catapult yourself forwards. Before we get started with this review, I want to be 100% transparent and quickly share with you my little disclaimer below. Yes, I am an affiliate member of Affilorama. No, I have NOT been paid to write this review by the company for their services. No, I was NOT given free access to the premium training or online tools for any reason what so ever. Yes, I did sign up on my own accord for a free membership account only, over 3 years ago. It was actually recommended to me by a reader of Magnet4Blogging, and a close friend of mine. This Affilorama review post contains affiliate links to Affilorama’s premium training and online tools. Should you use one of these affiliate links to purchase Affilorama’s premium packages, I will be paid a small commission, at no additional cost to you. You can read my full affiliate disclosure here. OK, now let’s get started with the detailed review of Affilorama. I’m assuming that you already know what an ‘affiliate’ is, or, what an ‘affiliate marketer’ does even. So I won’t cover this part. Affilorama is an award-winning online training website for affiliate marketers. The website was founded in 2006 by successful affiliate marketer and internet marketing coach Mark Ling. 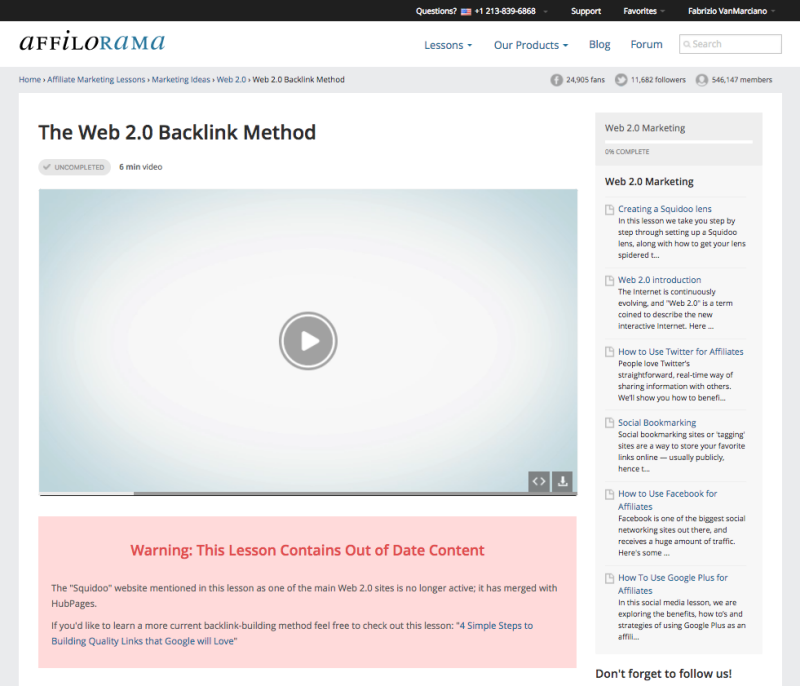 As I mentioned earlier in the short summary review, Affilorama provides affiliate marketing training lessons. 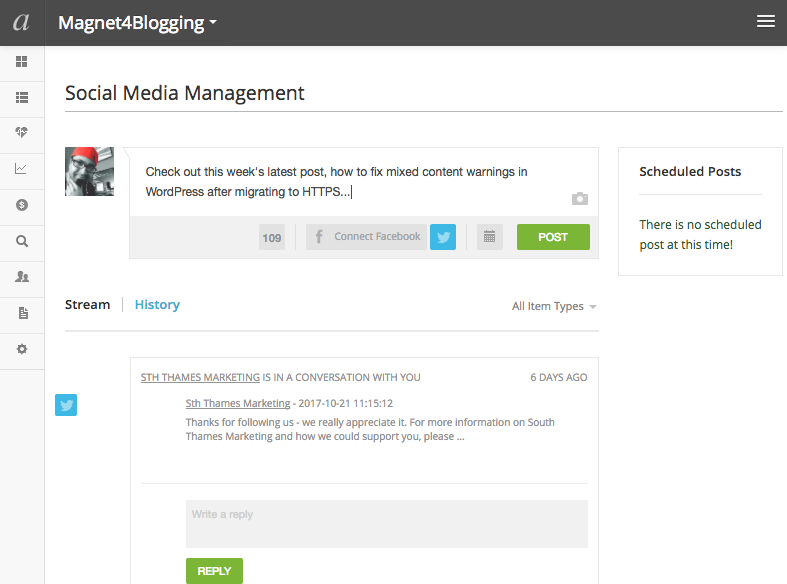 They do this using a range of content mediums including blog posts, lengthy tutorial articles, and videos. Members also get help and support on their learning journey to building a profitable affiliate marketing business model from scratch. Affilorama is one of the largest affiliate marketing training websites out there, with a community of over 300,000 members worldwide. 2. What do they have to offer? 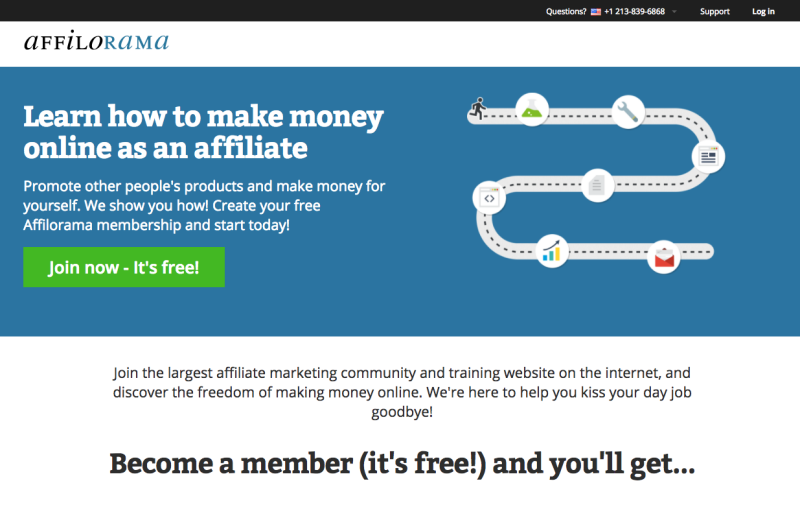 Affilorama offers free memberships to affiliate marketers of all levels. So, what is so good about that? As a free member, you get access to a host of content and training in the form of blog articles and videos. You also get free access to a suite of powerful online tools with basic options. AffiloTools (Bronze, Gold, and Silver). Now, let’s dive deeper into each of these offerings carefully. I was so pleased to read this part as it discusses many important issues that I, and perhaps many other affiliate marketers, might have experienced at some stage. Path2Passive highlights the importance of finding a profitable niche, choosing the right products to promote, creating engaging, interesting, shareable content that will rank well and boost traffic, targeting the right people that are interested in the products and services you promote, and much more. The free content is useful and provides some solid advice, along with personal experiences shared by Mark Ling. 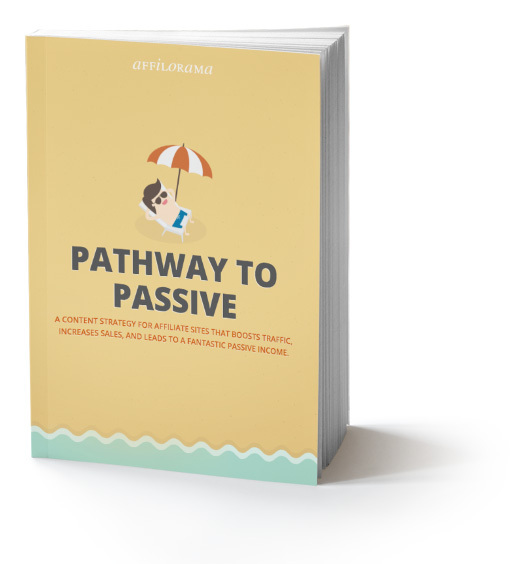 There’s also the option to access the full guide to the Path2Passive book. AffiloBlueprint is a three-part training system designed for two types of people. Those completely new to affiliate marketing. That might be you if you’re just starting out. Those who have tried doing affiliate marketing but failed miserably. That might be you if you have hit a wall with affiliate marketing. 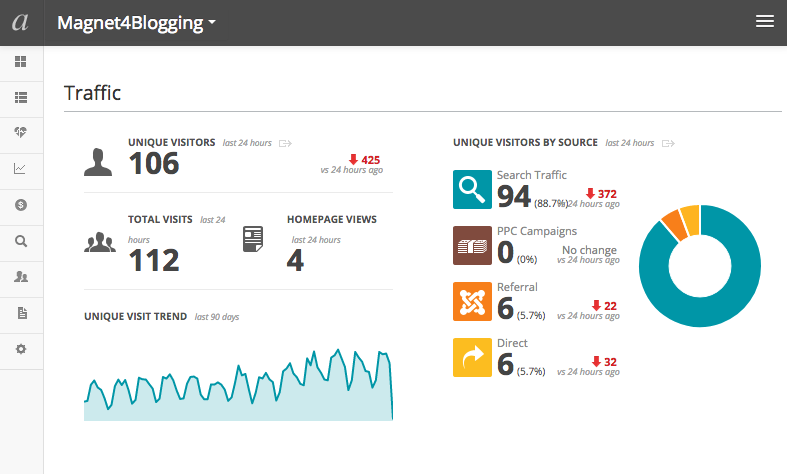 How to research profitable niches properly, and how to build great looking websites. How to market and promote your website to drive ‘buyer traffic’. How to effectively monetize your website to maximize your profits. 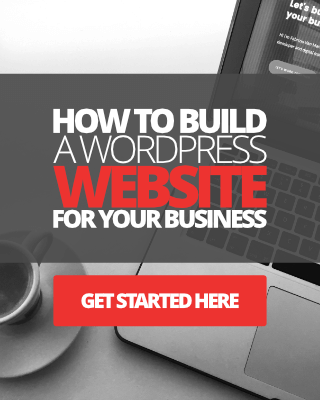 Mark Ling claims that the training provided through the AffiloBlueprint system is based on solid ‘tried and tested’ business principles that will help you to sustain profitability for your affiliate websites for many years to come. There’s also some homework for you to do after completing each lesson. Additionally, you get help and support along the way. 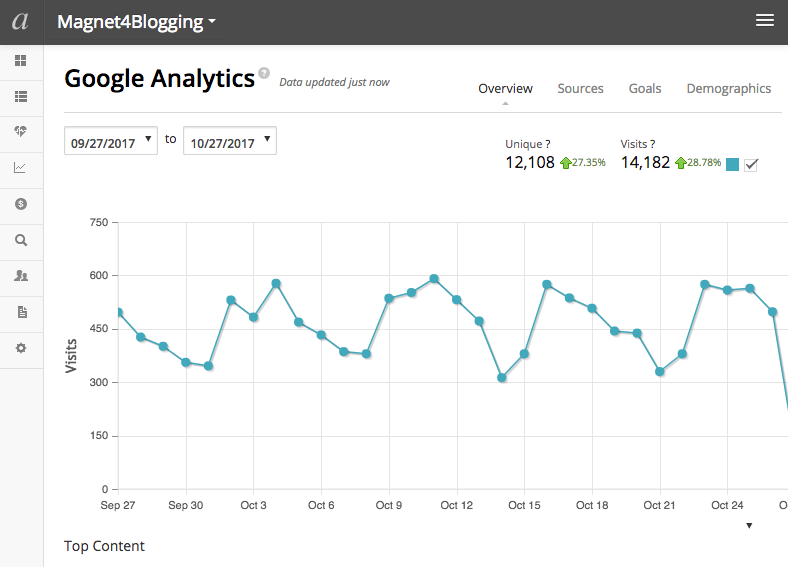 AffiloTools is a suite of premium online tools to help affiliate marketers view, manage, and track website growth and stats. For members of Affilorama, the tools are 100% free, with limited options and features. Upgrading to premium obviously opens up more options. Again, the Basic plan is free and provides some options. Upgrading your plan will obviously provide you with more options. See image below. 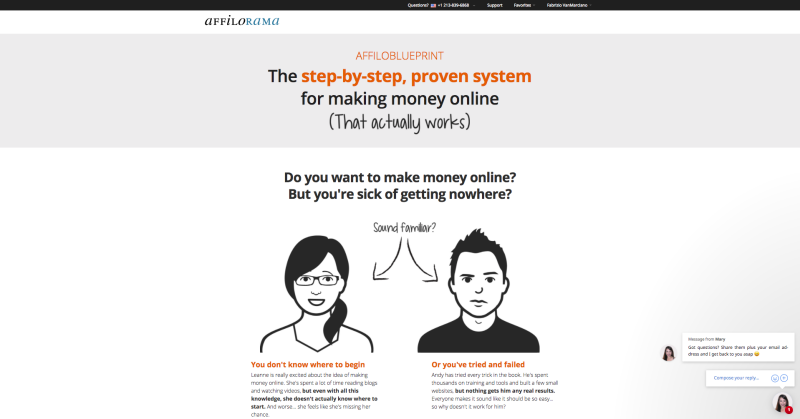 AffiloJetpack is a “fail-proof money-making system” designed, tested, and proven to help you generate sustainable income from your affiliate websites, according to the website. Now, I know exactly what you’re thinking. 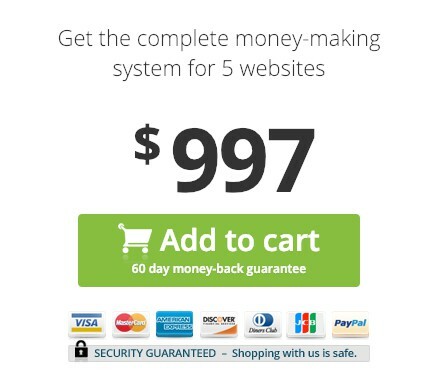 The words, “fail-proof money making system” just sounds like this could be too good to be true, right? Well, I have to agree, reading that does sound like as if this could just be another internet money making scam. Maybe they should have used a different marketing message, one that doesn’t sound so scammy, even if it isn’t. 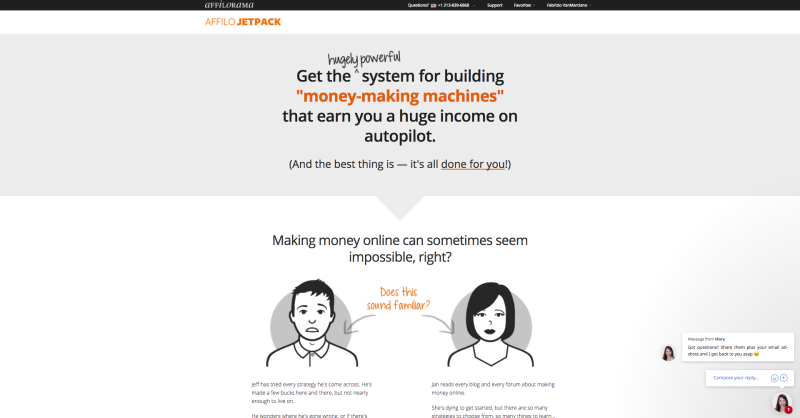 Anyhow, AffiioJetpack contains four components for building a profitable income stream with your niche website. 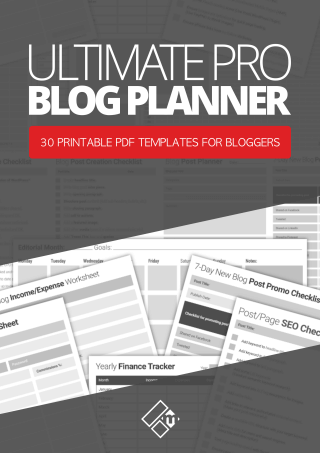 Professionally written, conversion focused email templates. Free reports you can use to help you boost your email opt-ins. You don’t even have to create your own info-product incentives. 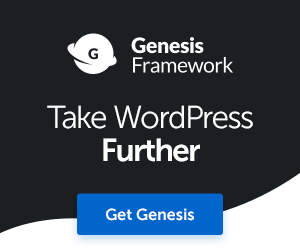 Complete WordPress website setup, including AffiloTheme and 12 months of free web hosting. 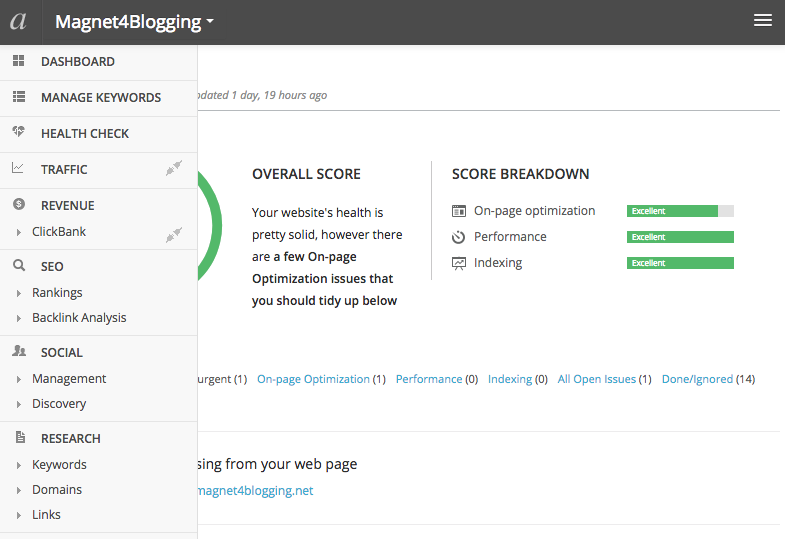 Content creation cheatsheets that show you “how to create hundreds of unique articles and blog posts for your website quickly” and effortlessly, and much more. OK, so let me stop here for just a second. If I was completely new to affiliate marketing and I just read the above bullet points, I would be skeptical. One of the things I have learned over the years while doing affiliate marketing is that if something sounds like it’s too good to be true, then it probably is. “how to create hundreds of unique articles and blog posts quickly”? Again, to me, that just sounds a little suspicious, don’t you think? I certainly hope they’re not suggesting creating hundreds of trashy and poor quality blog posts and articles to save time. I know for a fact, that creating great content takes time, it’s not a quick process. Writing this review, for example, took me well over a week. That said, the Path2Passive package really dives into the importance of creating engaging, shareable, useful content, which I was very pleased to read about. 3. Who is the Affilorama Membership for? Anyone is free to signup to Affilorama. And you seriously don’t have to be an affiliate marketer, to begin with. You could be interested in starting or just starting out. You could also be a blogger looking to learn more about affiliate marketing so that you can apply it better to your blog monetization model. And also, just to remind you, Affilorama is one of the largest affiliate marketing community website’s out there, so you’re in good hands, well, apparently. So far, it all sounds great, right? So – Now the big question. 4. Just how ‘valuable’ is any of the content or training provided by Affilorama? We’ve covered everything you get, but is what you get of any real value? Yes: The content is decent enough, OK. And there’s plenty of it. Even as a free member the information is certainly of value. It’s not the very, very best content on the topic of affiliate marketing, but it’s not bad either, and it’s certainly useful and helpful. Which begs the question “Is the premium training and tools worth your time and money?” Because let’s face it, it’s not cheap. 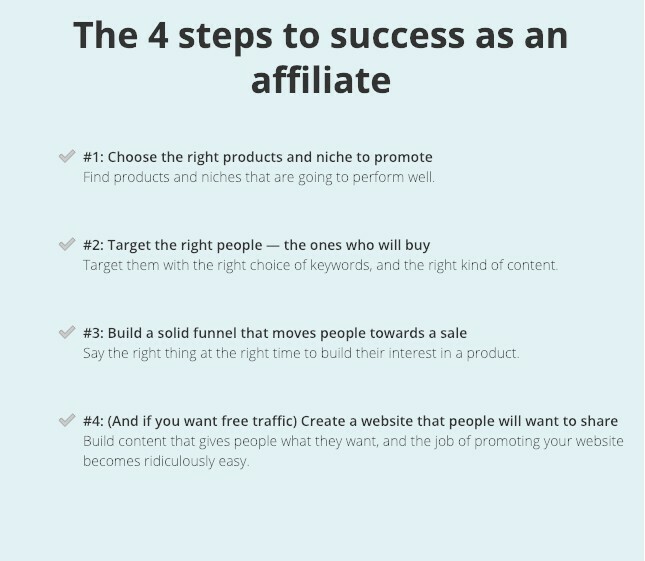 Again, I think yes it is if you are new to affiliate marketing, and even if you have some experience but would like to take things up a notch, it’s worth investing in learning how to build profitable affiliate businesses correctly. We all know that when it comes to paying for premium content or training, it has to be good. It has to overdeliver on the value, right? If you took an online course, for example, you would pay a hefty premium, especially if you knew the course was valuable and would give you the skills and knowledge you needed to grow your online business. Affilorama, in this instance, is no different. Yes, I am aware that there’s already a boatload of legitimate affiliate marketing advice, training videos on YouTube, and blog articles written by the thousands that you can find on the web. And, most of that content and info is freely available to anyone. So, why would you pay for it with Affilorama? Because everything you need is in one place. 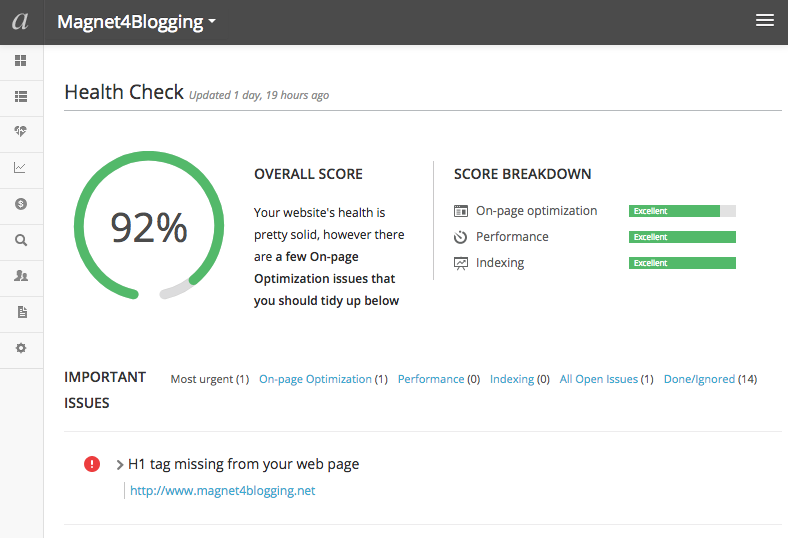 You don’t need to go hunting for it and then decide whether that content is useful or not. But that’s just the start, as I said, the content value is decent enough. I’ve been a free member of Affilorama for over 3 years. In fact, I signed up on June 22nd, 2014. And yes, I do log into my membership account from time-to-time, primarily to access the forum to see what’s going on and everything else. I also like to use the suite of online tools, which I will say, most of which is quite useful. However, I have never bought into any of the premium training. Based on the free content – Based on what I’ve already discovered and read through the free lessons, videos and blog articles on the site, I don’t feel that I should pay money for knowledge that I’m already familiar with. I’ve been doing affiliate marketing for 8 years, so I’d like to think I know a thing or two about the subject. In fact, I learned most of what I know about affiliate marketing, including website setup, content creation, marketing, SEO, building an email list, doing market research, A/B testing, doing keyword research by reading books, enrolling in courses, following other credible entrepreneurs training, advice, and reading up on case-studies, reading blogs, experimenting through trial and error, and what not, many, many years before I’d even heard about Affilorama. And, most of what I discovered and learned about in those early years hardly cost me a thing, except maybe a lot of time. I don’t need to invest any more money in affiliate marketing training. The cost (And the upsells) – Once again, let’s be real here. Nothing about Affilorama is cheap. The actual cost of the premium training videos, content, programs, and systems itself is just a little too high, in my opinion. Yes, the content is of value, you get a lot of bang for your buck, for the most part, but the price is darn well high. I’ll talk more about this later on. I want to mention something about the content on Affilorama, especially the free lessons. Although now most of it is legitimate and sound. The website still has a very small amount of redundant information and out-of-date blog articles. That being said, nowhere near the amount it had just a few years ago. I was pleased to see that a lot of the content and articles has been upgraded and improved since I originally wrote this review in 2016, but there’s still a small amount of content that is not current. See image below. So, what’s the verdict on the ‘value’ then, Fabrizio? I think you get a mix of things here, and for the most part, most of what Affilormama offers is of good value. Again, if you are completely new to affiliate marketing or building a profitable online business, and I mean completely new, as in you haven’t got the slightest inclination as to where to start with it all, then I think you could benefit from the free membership account, at least. As a free member, you’ll get access to the 32-page Quick Start Guide To Affiliate Marketing (Roadmap) downloadable PDF guide. 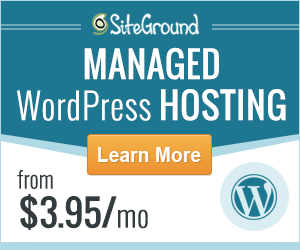 Get web hosting and set up your website with WordPress, including installing a theme. So, from the ‘free membership’ position, you get a good amount of value for nothing. Having reviewed the free content now in 2019, including the blog: A lot of it has improved I’m really pleased to say, so I’m safely assuming the premium content value has maybe increased. 5. What about the forum, help, and support? You can get help and support on pretty much anything to do with the products, tools, lessons, training, etc which is provided via the support center. Affilorama provides support via email or telephone. You can also access the forum to ask for help from one of the forum members should you need to. The forum is somewhat active from what I can see. 6. How much does the premium content/membership packages actually cost? Like I said, nothing on Affilorama is cheap. Again, signing up is completely free, and you get instant access to a bunch of free lessons, tools, a downloadable PDF guide and what not, as I covered above. When it comes to value, however, you get a mixed bag of things, some great all-around content, some mediocre content, some new improved content, free use of online tools with basic options, etc. I’m being honest with you here, OK? To upgrade the AffiloTools, you’ll have to pick a price plan that suits your needs. See earlier screenshot. So, there’s an initial payout of $997, then whatever monthly cost totals up for the services you require. Here is a list of pros and cons of using Affilorama. Free access to online tools with basic options. Free downloadable 32-page PDF getting started guide. A relatively active forum with 300,000 members? Options to upgrade to premium content, training, access to boot camp, more downloadable lessons, website setup and hosting, bonuses and more. Premium training and upsells can mount up and seem quite expensive. A small amount of out-of-date information, still, however, big improvement with updated posts and new content. A mixed bag of really good articles, to mediocre and obvious tips and advice, decent videos, and practical tutorials. Now, again, for the purpose of providing full transparency. I’m not a premium member, and you might have already guessed that. So, if I’m not a premium member, how can this be an honest review? Well, I believe that I’ve spent enough time (3 years) reading through most, if not all of the free training lessons. I’ve also watched most of the videos, as well as made use of some of the online tools in the free membership to warrant this review. Rightly so, I don’t know what the premium content, training, videos, systems, or help and support is fully like. However, if it’s anything like the free lessons, then I have some reservations about whether it might be good or not. So, would I recommend using Affilorama then? Yes: If you’re a complete newbie: The content and video lessons you get as a free member is decent enough. There’s a lot of good advice, tips, and ideas that you can use to start the ball rolling with your affiliate marketing business. You can easily look past the small amount of redundant information. There are tiny flaws in some of the free content, especially in the marketing lessons category, however, much of this has been improved. The ‘sales pages’ for both the AffiloBlueprint and AffiloJetpack are somewhat informative, but they are sales pages at the end of the day and they don’t really provide a great deal of value. The content is basically designed to entice you into buying the premium offers and upsells by using something called EMV (Emotional Marketing Value). This means the content is designed to take you on a journey from where you are right now as an affiliate marketer, to where you potentially could be if you purchased and followed the system that promises to deliver results. 9. What are the alternatives? There is another more popular website similar to Affilorama called Wealthy Affiliate. As for the alternatives to paying money to learn how to build an affiliate marketing business? Do your own research, follow and learn from other bloggers and entrepreneurs. Search for affiliate marketing training videos on YouTube. Search using Google, and check out iTunes to find any potential podcast shows on the topic of niche website building, etc. I know this takes time, but if you don’t have the budget, it’s probably going to be your best alternative. Additionally, you can search for affiliate marketing blogs and forums, Facebook and LinkedIn groups for help and support, etc. Getting a website set up is not that hard to do. I created this detailed tutorial post here if you want to check it out. Have you ever heard of Affilorama before? If you have, are you a free member, or maybe even a paying member? What are your thoughts on the lessons, videos, and content being provided generally? Have you found the community helpful? Have you found the help and support adequate enough? What about the forum, have you been active and found folks on the forum helpful? I hope you found this review useful, and if you did, do let me know by getting in touch with me here. Indeed affiliate marketing can never be dead, it is one of the best ways to raise up our income. Affiliate marketing is not that easy, it require a good level of skill and one should knows how to market is correctly. Affilorama is something new I am learning over here and its sounds like they are giving affiliate marketing a higher grounds. I have never been an affiliate guy, and now it looks like now its the right time to get involve into this one. Thanks for stopping by. Glad you enjoyed my review of Affilorama. Despite some of the issues with showing redundant content, the high costs of the premium content, generally there’s certainly value to be added as a free member, so do check it out and let me know how you get on. Best of luck with your affiliate marketing campaigns and projects in the future. Nice review. Affiliate marketing indeed can be a very good source of income. Thank you for introducing me to affilorama. A lot of people think or feel affiliate marketing is a dying tactic that once used to be very profitable as a business model. Well, it very much still is, and I hope you’re doing all you can to reap the benefits from affiliate marketing, and if you’re just starting out, do check out the free content, lessons, tools with Affilorama.